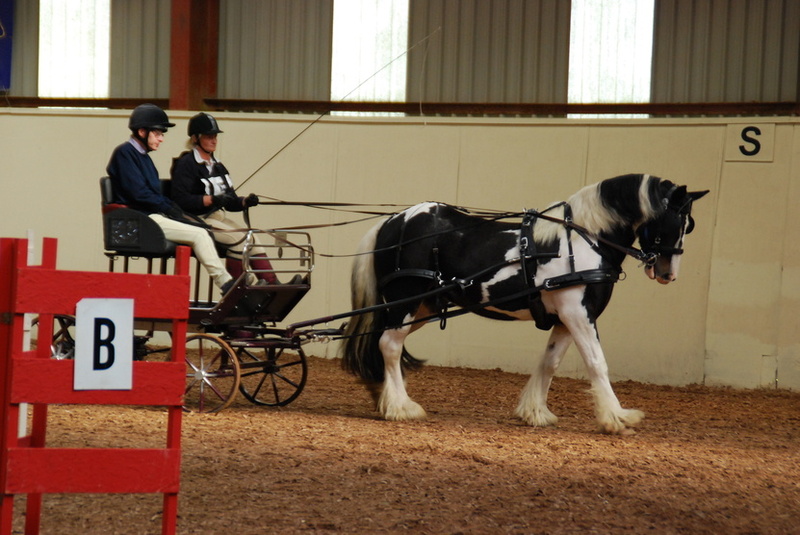 Disabled carriage drivers from the Riding for the Disabled’s South East Region met at Sands Farm, Warnham on Tuesday in the annual qualifying competition for the RDA National Championship held in July 2019. Drivers from across Surrey, Kent and Sussex went head-to-head in the three combined disciplines of dressage, cones and obstacles with only the competitors placed in the top four of the Novice class qualifying. The Carriage Driving Groups represented included East Sussex’s Heron’s Ghyll (Whitesmith) and Kipling County (Chalvington), West Sussex’s Cherry Park (Chichester), Surrey’s Stella Hancock group (Worplesdon) and for the first time, Kent’s Bradbourne (Sevenoaks). There was “edge-of-the seat” excitement with a number of dead heats in some of the placings including the top slot of Overall Winner and qualifier in the Novice Whip with Vianne Carr driving Lottie of Heron’s Ghyll and Sandra Spinner driving Jim of Cherry Park tying first place for a Sussex sweep. Also qualifying was Paula Stapeley of Stella Hancock, Karen Tritton of Heron’s Ghyll and Christine David of Stella Hancock. In the non-qualifying Assisted Whip class, newcomer Katherine Brine, driving Tooky from Stella Hancock was a decisive winner, beating Ellen Chapman of Cherry Park into second place. Aaron Dellaway of Regional Sponsors, Cowan Architects, presented the awards. He was impressed by the speed and agility needed from the carriage drivers in the three disciplines. “This has been really inspirational to see the skill and dexterity required from these incredible drivers. I’ve been amazed today” he commented at the end of the day. The Chair of the RDA South East Region, Lindsay Correa gave thanks to the hard work of the team behind the scenes in putting the event together saying “I take a lot of pride in the events that we offer to our regional members and the team work hard to make them happen. We’re also very grateful to our wonderful judges led by Sara Howe, an internationally acclaimed carriage driver and Team GB member.”.